Our purpose is to inspire designers, textile artists and those who work on creating prints & patterns, an endless stream of trend relevant inspiration & INFORMATION so that together we can continue to INSPIRE EACH OTHER TO design, create, and generate beautiful product. If you are a designer looking for amazing prints, or a print studio looking for representation, we'd love to hear from you. Contact us for a print appointment or follow us on social media! The design studio has a team of talented Designers , Textile Designers, Graphic Designers and Fashion Illustrators who are experts in the fashion and home industries. We collaborate, design and bring concepts to fruition, With a combined experience of 20 years in the fashion and home industries, it is our passion to design and deliver to our clients. To learn more about our services, visit our website fashionvignette.com. We do the research for you to create future color stories. Not only looking for the next new color, Pattern Curator reports trending color combinations and full color palettes to acheive as specific mood in print & pattern design. Print and pattern focused research delivered regularly. 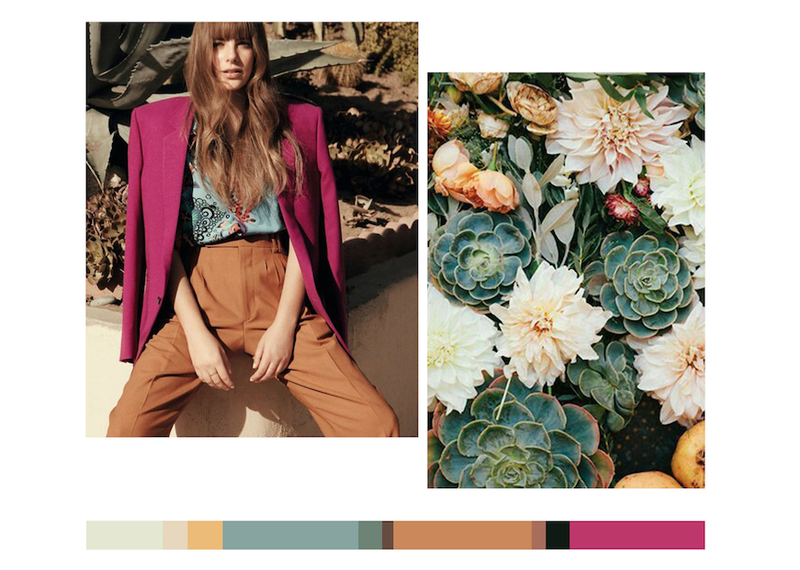 Pattern Curator is the only trend service that solely focuses on color, print and pattern. Because of this, you can be assured each concept has been fully identified, investigated and analyzed. We sort and sift through the shows for you for trending ideas. Timing is everything. Pattern Curator uses runway recaps as confirmation of earlier forecasts, quick inspiration for ‘wear now’ and a glimpse at indicating what’s to come. We curate and design prints + patterns with a team of talented artist and print studios from around the world for you to purchase all in one stop. Industry standard compliant, full fabric headers and copyright to own. Pattern Curator takes curating a step further to serve your color, print & pattern needs. My name is Kristine Go. I am a textile designer, artist, yoga teacher, blogger, entrepreneur, creative enthusiast. I get the industry demands of creative people and understand the limited time of not knowing where to look for the next big idea. I also get there are those who want to dabble in the creative field, don't know where to begin and don't have the big corporate trend research budget readily available. We all need some inspiration to generate new ideas. And that's how Pattern Curator came to be.